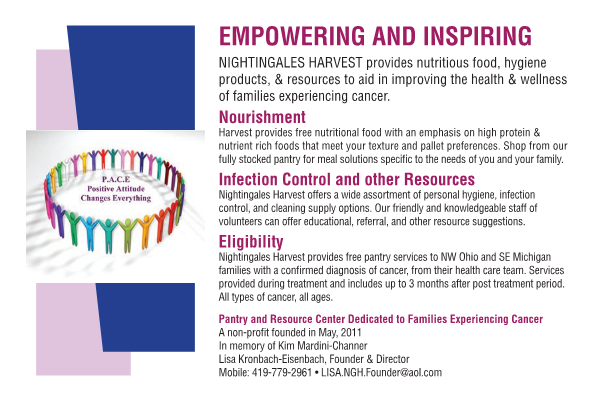 ​​To lessen the financial burden of cancer patients and their families, by providing nutritious foods, toiletries & hygiene products. Education on healthy patient & family recipe's & infection control. 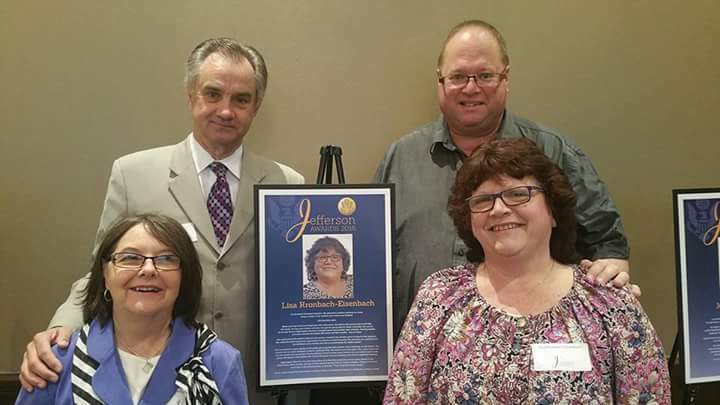 We are a non-profit founded in May, 2011 by Lisa Kronbach-Eisenbach in memory of her friend Kim Mardini-Channer. 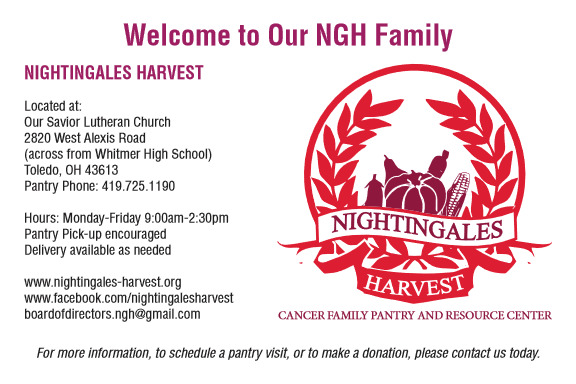 According to the American Cancer Society Nightingales Harvest is the first food & toiletry pantry in the United States dedicated to providing hygiene, cleaning products and nutritious foods for cancer patients and their families.